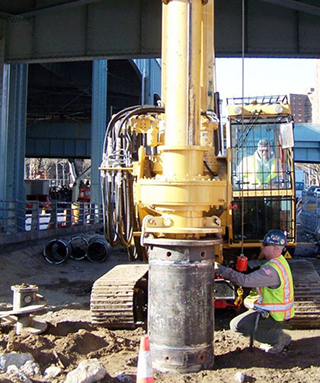 Hammer & Steel sells and leases the SoilTek S60 hydraulic piling rig and the SoilTek S35C piling rig. SoilTek manufactures hydraulic piling rigs in central Italy. The S60 piling rig is a flexible machine offering solutions to most requirements in the drilling and small diameter piling fields, including restricted access work. 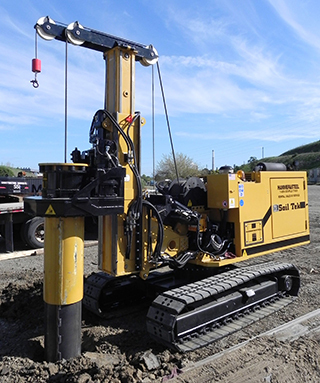 Available in a CFA Version Capable of Drilling 33 ft.
S60 Hydraulic Piling RigLearn more about the SoilTek S60 Hydraulic Piliing Rig.